The eMetrics Marketing Optimization Summit continues the industry dialogue by bringing together senior marketing executives, focused technologists, software and service vendors and members of the press to address the most pressing issue of our time: Making the most of what you already have. 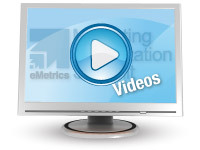 How do you establish a marketing metrics baseline? How do you correlate offline and online measurements? How do you connect customer satisfaction data with customer behavior data? How do you compare online to other channels of acquisition and distribution? How do you change a corporate culture to embrace marketing experimentation? This is not about what works best - but how to measure what works best. Your results will be unique as well. You don't need a fish, you need to learn to fish. You don't need to know which creating campaign worked best. You need to learn how to test campaigns to identify the best use of resources. Become an Official Blog Partner! We are looking for 100 of the Web Analytics industry’s best and brightest to participate in a Sample Test of the soon-to-be-released WAA Certification Exam. Be part of an exclusive group that will take a portion of the Exam at the eMetrics Summit in Washington, DC. Click here to register now! Designed for more senior executives who must manage digital marketing, keep an eye on the latest trends and get the most from analytics investments. From marketing vision and strategy to the testing and tools that make it all work, the eMetrics Marketing Optimization Summit remains the only place where you and your team can find exactly what you need to know right now. Subscribe now and stay on top of the Keynoters as they are announced and special offers that will save you money. 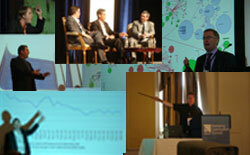 We'll even point you to ways you can convince your boss that this is the one conference that can make the difference.